All of our blinds are covered by a 12-month standard warranty. We also extend this to a five-year guarantee on the majority of blinds produced in our own factories. For full details on our warranty offer, visit our terms and conditions. Can I order the vertical blind slats only? Yes. If you wish to repair an old blind, change the look and colour or replace existing vertical blinds slats for any reason, then we sell individual slats)louvres/vanes) as well as full blinds. Do you sell spring-loaded roller blinds? Although our roller blinds come fitted with a side chain control as standard, it is possible to choose a spring-loaded control instead for blinds up to a maximum of 150cm wide with a drop less than 150cm. These cost £6 extra, including a wooden acorn pull. Make your selection from the control options when ordering. Whilst we make every effort to ensure the product swatch imagery shown is as accurate as possible, some images may not be a true to life depiction of the actual material or certain images may not be available. Any difference in colour is mainly due to the different settings of one device screen to another. Lifestyle shots are provided as a guide to show the fabric made into a blind and the actual blind shown may not be the same style or type of blind for this product. If you do have any queries surrounding our products or would like further imagery, please contact our customer services department. We also offer a free and fast sampling service of all our blinds and curtain materials. If you are unsure about the product before purchasing then please use this service by clicking 'Get A Sample' and completing the checkout process. Blinds can generally be wiped with a clean, damp cloth. Do not use any type of detergent to clean your blind as this may damage or stain the blind. Do not oil or lubricate any part of the blind. Please look for any specific information provided for your selected product. Pvc fabrics are great for areas such as kitchens and bathrooms, where blinds are most likely to get splashed. Is your chrome finish control chain suitable for use with my bathroom blinds? We only use chrome finish, nickel-plated brass chain for our roller, roman and vertical blind control options. These are guaranteed to be rust free in all moist conditions including bathrooms, kitchens, conservatories and any other high moisture areas. Unfortunately, some suppliers use nickel-plated steel which will rust and can cause staining to your blinds and other furnishings. My roller blind cord keeps breaking? 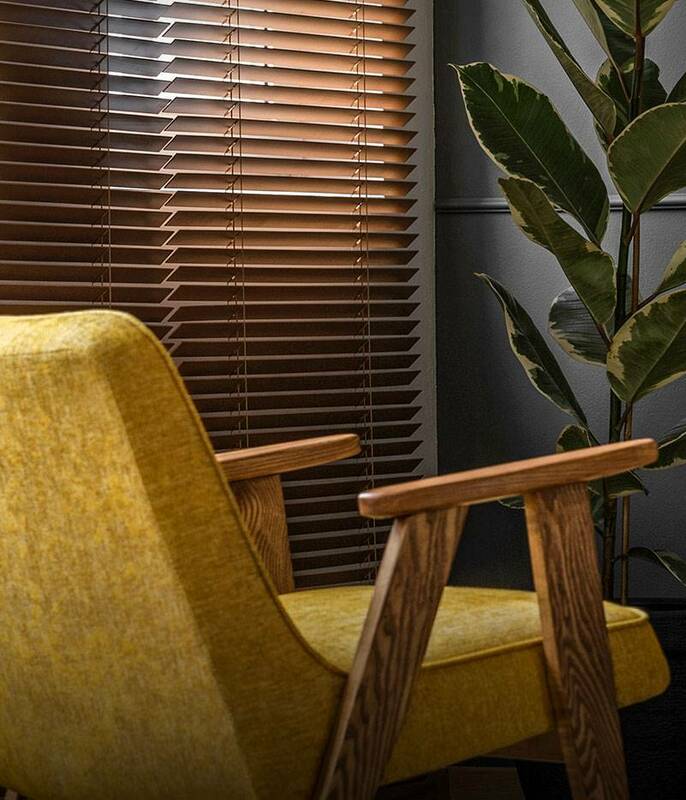 Some of our roller blinds are fitted with 'breakaway chain connectors', which can give the appearance of being broken when they come apart. This is not usually the case - just clip the chain back into the connector to restore. These blinds are built this way to break under pressure, avoiding the risk of strangulation. What are the differences in the Roman linings offered? We offer a variety of linings for our Roman blinds, so it's worth taking some time to consider which option will best suit you. The standard Luxury lining is a plain cotton sateen, designed to suit most living spaces. Blackout linings will darken your blind, only allowing light through the stitch lines - ideal for bedrooms and nurseries. Thermal is a plain lining with a heat conductive coating to help prevent heat from escaping in the winter and to insulate in the summer.Interlining is a bonded fabric which adds a thicker look and feel to your Roman blind. If you're not sure which type of lining will be best you can request a sample by email (shop@directblinds.co.uk) or call us on 0370 218 4824. What happens if my blind fabric is out of stock? In the unlikely event that your choice of blind fabric is out of stock, you will be advised of a new delivery date or an alternative fabric choice. It may be worth considering a back-up option in advance in case your chosen blind isn't available for an extended period of time – order free samples to help with the decision making process. What is the difference between sidewinder and cord lock control? A Roman sidewinder is an enclosed cassette with a bead chain operation. A Roman cord lock is a self-locking corded track, where the cords hang behind the blind. The vast majority of our blinds are produced in our own Direct Blind factories, in Yorkshire. This gives us greater control over the quality and supply of your products. Some specialist products are manufactured by our selected partners , all of our products are made to measure within the UK, unlike many of our major competitors. Where do I find out what the fabric is made from? The fabric composition of each blind or curtain fabric is available in the 'details' tab on individual product pages. All blinds are made to measure in the UK, the vast majority in our own factories.